What do you call it when a letter extends below the word like an underline? I'm trying to search for this thing but I'm unsure what terms to use. I see it a lot in logos. It's where a letter, typically the last, extends down under the word like a thick underline. Sometimes they use it as a background for more text. Where this device is formed from a capital, it's called a swash and there are many font variants with "Swash Capitals". Originally it was designed to fill the space between letters1, but often now swash capitals incorporate strokes which are far more ornate or elongated than a simple space filler. In the absence of anything better, the term might easily be applied to the stroke in the illustration. 1 OED, 1918: Printing. 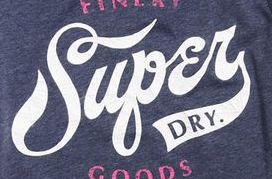 Applied to old-style capital letters having flourished strokes designed to fill up unsightly gaps between adjacent letters. How do the terms image, picture, graphic etc. relate to each other? What to do with small cap initialisms at the start of a sentence? What do you call this word-image made of other words? Jargon: What do company ad departments call the vector files? Is it possible to set the underline thickness with Scribus? EB Garamond is available in a few places, but includes different things in each. Which way is best to go?